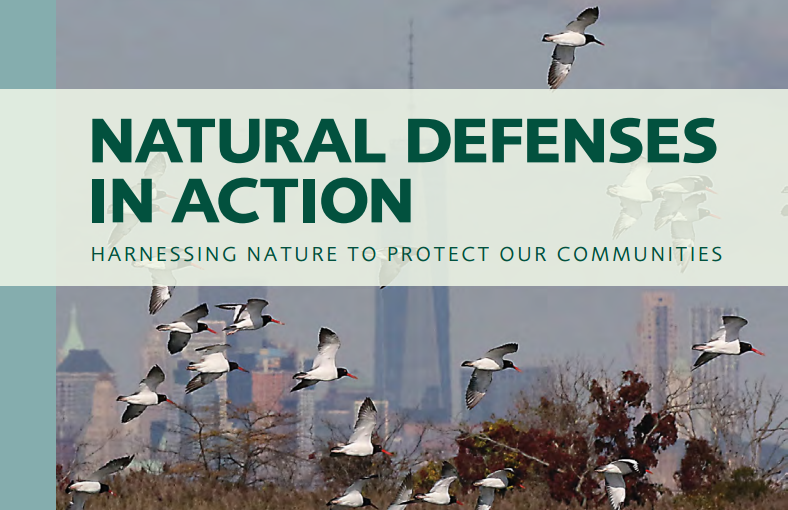 Tony is the accountant for the marina, controller of BaySave Foundation and treasurer for Delaware River Greenway Partnership Inc.
White perch are the most popular fishing target and the only species of local fish that can be caught year round – even through the ice. White perch are native to the Atlantic Coast and can adapt to fresh or salt water. 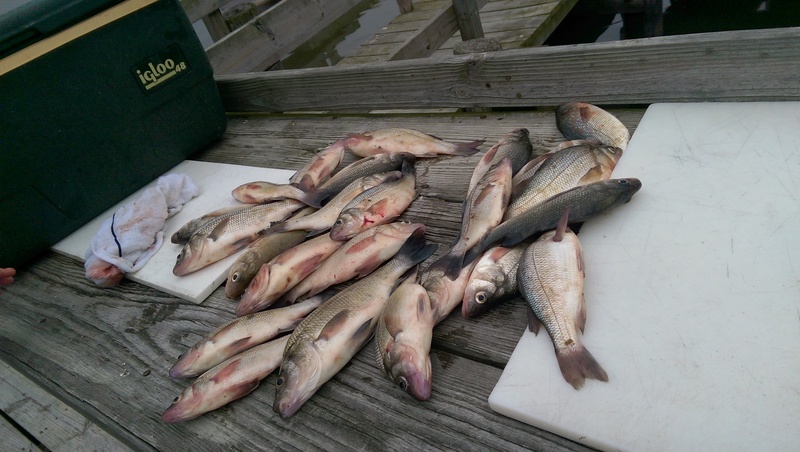 espite the name, white perch aren’t actually perch. They are members of the temperate bass family, just like the striped bass. They prefer low-salinity estuaries but frequently inhabit coastal rivers and lakes. In summer months shrimp or blood worms are the best bait. In winter small minnows work best. The best fishing spots are along the grassy banks of the creek. The meat is incredibly tasty. They can be grilled whole or cut into fillets. Yesterday as I drove around delivering oysters to friends as a holiday gift, I found myself repeating the same information about the oysters that we love. Besides basic questions about how to handle the oysters, I am often asked fundamental questions like “Why are you so interested in oysters?” My several decade involvement goes back to environmental issues of the middle 1990s and today focuses on support of the expanding oyster industry. 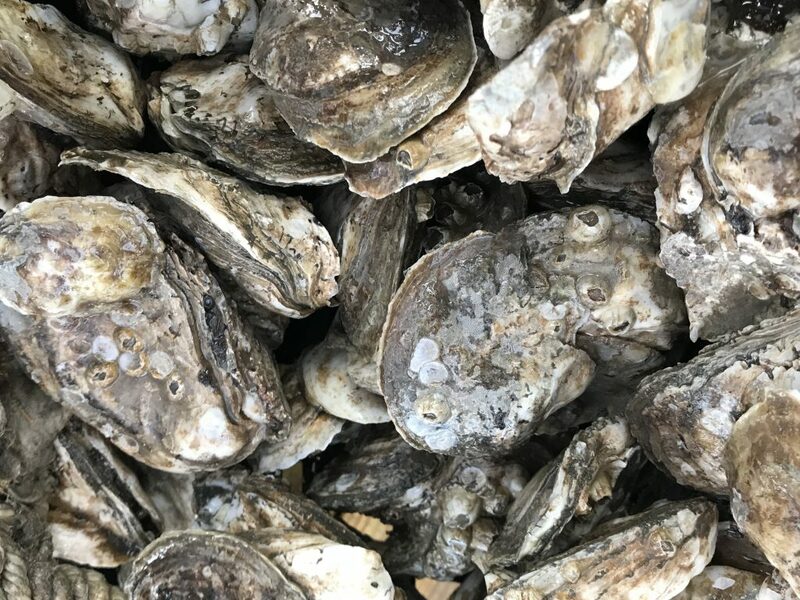 We take pride in sharing our local Nantuxent oysters and this page provides some background information in bullet point format about Delaware Bay oysters. First a disclaimer: these are my personal comments and do not reflect the opinions of any business, government or industry. Some people within the Delaware Bay oyster community disagree with my views and specifically state their wish that I not express comments like these. But I think that open discussion of competing ideas is almost always a good thing. Our local NJ bayshore economy was largely build on the oyster industry that was thriving by 1905. At that time Money Island was apparently not occupied but Newport Landing, one mile up the creek, was a large important shipping port. 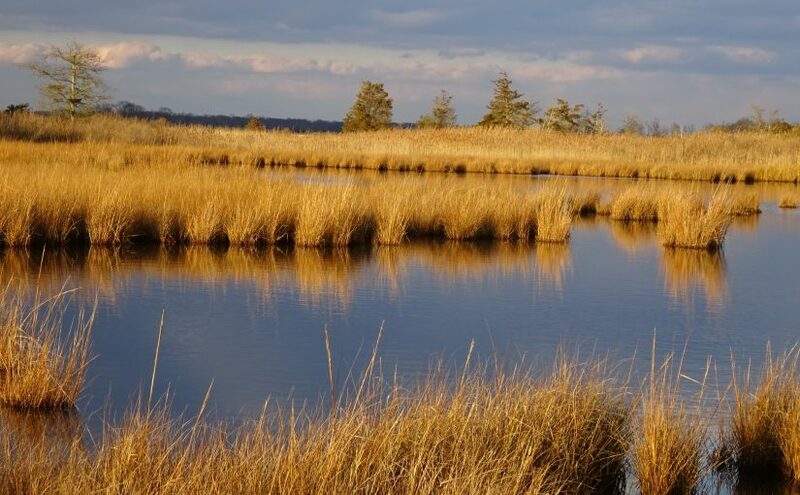 At one time the oyster economy created a greater concentration of millionaires at the NJ Delaware Bayshore than anywhere else in the nation. The towns of Port Norris, Shellpile, and Dividing Creek still have some of those old mansions. Peak oyster harvest hit over 1 million bushels with over 500 harvesting boats in the 1930s. (Some sources report even higher harvests). The oyster population collapsed from overharvesting a disease in a series of disasters from the 1950s to the 1990s. The local economy collapsed with it. Oysters are now recovering under a model that emphasizes quality and market control. Our current oysters appear to be more resistant to diseases like dermo and MSX than those of the past. Our water quality has also improved. 2017 harvest was about 120,000 bushels with less than 20 boats making any significant harvest. Rutgers estimated that in 2016 we had 1.8 billion oysters living in the bay and that the population is increasing. The population is controlled by ‘set rate’, a random factor, combined with water flows, nutrient level and availability of ‘clutch’ material. Recovery of oyster populations is demonstrated in other estuaries to parallel the recovery of other fish populations. In fact, oyster farming can have a significant positive impact on local recreational fishing. The local oyster industry takes consumer protection and stock safety precautions very seriously. Our local Money Island shores were closed to oyster harvesting due to proximity to houses an possible water contamination. But an ongoing water quality test program shows no water quality problems. Delaware Bay oysters are among the best quality in the world. But don’t take my word for it, check them out and compare yourself. Our local oysters are branded and resold under various names throughout the country. The local oyster industry is largely controlled by the NJ Delaware Bay section of the Shellfisheries Council that meets occasionally in Bivalve. 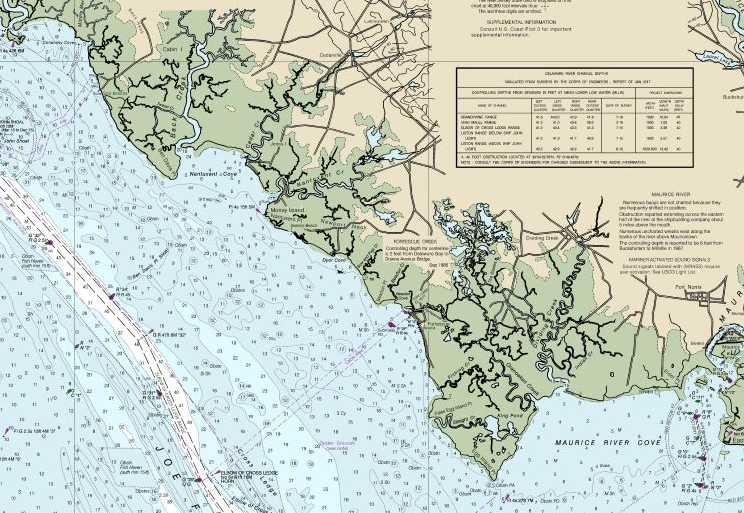 The most productive oyster growing and harvesting region of the Delaware Bay is known as the Nantuxent beds, located just offshore from our Nantuxent Creek at Money Island. That’s why Money Island is the landing port for most of the Delaware Bay oysters. The economic value of the oysters landed here at Money Island is estimated at more than $20 million annually. Economic value differs from dock value in that it includes the multiplied effect of oysters throughout the economy and jobs including industries like seafood restaurants. Oysters are either farmed or wild. Wild oysters can have varied interesting shaped shells, are sometimes stuck together called ‘cluster oysters’ and some can be very large up to 7 inches. Wild oysters may have barnacles growing on the outside of the shell. Farmed oysters tend to be smaller and more uniform in appearance. Wild oysters are hand tonged on small boats. These boats work mostly in the winter months. Oyster recovery programs take two routes: 1) Building populations of oysters that can be used as a food source (aka commercial production), and 2) rebuilding oyster growth near shores to stem erosion and storm damage (aka environmental restoration). Even though both are valuable, the two operations often run into conflicting interests. In this era of deep political divisions, there is still almost universal political agreement that restoration of oyster populations and oyster reefs is one of the smartest things we can be doing for ourselves, our estuaries, for recreational fishing, and for long-term sustainability of the bayshore. The number of harvesters at Money Island varies. We have one full time resident oyster business here, many regional companies who harvest here but are based elsewhere and currently two seasonal oyster tongers. We plan to recruit more oyster tongers by offering a higher priced dockside market for their oysters. We recently launched a test program to teach oyster tonging. The details are still being worked out but the idea is to introduce people to this sustainable old traditional method of harvesting and then help them grow it into a part-time business if they want. Larger commercial harvesters take oysters from leased and seeded beds. These are the large boats docked at Money Island. Their season runs most of the year in warm weather months but shuts down in the winter months. Small oyster growers use cages along parts off the shore further south in the Delaware Bay. This is not done yet in our region of the bay. In most other bays, oysters are incubated in one place, moved to a nursery in another place and then moved again into saltier water for grow out and finishing. The Delaware Bay is just catching up with this system that is used in most other parts of the modern aquaculture field. We don’t sell oysters because we do not have a required shellfish dealer’s license but we are allowed to occasionally give oysters to friends as a gift. We are working on getting the shellfish dealer’s license. This is not because we have a burning desire to be an oyster dealer but rather because it helps the local economy. Oysters are delivered refrigerated or on ice. It helps to have a good oyster knife in your kitchen. A good one costs about $9 from a kitchen specialty shop. We’d be happy to demonstrate oyster shucking but, of course, there is always YouTube. When opening oysters keep the cup side down to hold th juices. A shortcut to avoid the work of shucking is to barbecue the oysters, This is a favorite method of local watermen, They pile the oysters on the barbecue grill for a few minutes until steam comes from the seam. The pop open easily and are typically served with hot sauce. Our oysters sometimes have small live crabs inside called a ‘pea crab’. These do not harm the oyster and are delicious. Local watermen consider them to be an added treat. If you have the courage, just pop them in whole and wiggling. (It is possible to win some free drinks by encouraging dares from newbies). Otherwise just push them aside. To prepare oysters, scrub them with a brush under running water. Then put them in salted cold tap water with a tablespoon of cornstarch for a few hours. Don’t keep them in stale water for too long. Oysters can be kept on ice or in the refrigerator for days or even a week. (I’m not speaking of industry standards, tolerances or guidance). Our local oyster industry maintains more strict standards. If kept in a refrigerator, cover them with a wet towel. The price of Delaware Bay oysters ranges from a low wholesale price of $.40 each paid by some dealers growers and harvesters to a high of $2.50 ($30 per dozen) offered online by Fulton Fish Market. The average retail price seems to be about $1 to $1.25 each in local fish markets. My personal favorite recipe is Oyster Rockefeller, local style. Thoroughly cook finely chopped high quality bacon in a large pan then add chopped frozen spinach and chopped onion. Add parmesan cheese, Old Bay seasoning, and a little hot sauce. Spoon the mixture over opened oysters on the half shell and broil them for a few minutes. Garnish with lemon. Save the shells for recycling. Cleaned oyster shells are used to grow future generations of oysters. We are happy to take them back. Until a few years ago I operated a shell recycling program through Baysave that gathered shells from Pennsylvania restaurants for reuse in local oyster reef rebuilding projects. Baysave lacked the funding required for a separate inland cleaning facility (essentially a small rural landfill site) required by the state to continue the program. The program may be revived again in the future after we find a farm or other location to clean the shells. We now have large 4 gallon buckets of frozen bunker chum available for $25. It is always best to call in advance and we suggest allowing time for thawing. We use the chum by drilling large holes in the the bucket and hanging it overboard. Other prever to shovel it out after thawing. Chum is made from ground menhaden (bunker). Most sources say that DEET-based insect repellents work best and are safe when used as directed. Some people prefer using naturally occurring chemicals contained in plant oils. No matter what approach you take, don’t ignore our motto when spending time outside in rural South Jersey: “Never underestimate the bugs“. Be aware that oil-based products can increase sunburn. We carry both DEET-based and plant oil based repellents at the bait shop. We’ve taken steps to control mosquitos and it seems that the problem is greatly reduced over the past couple of decades. 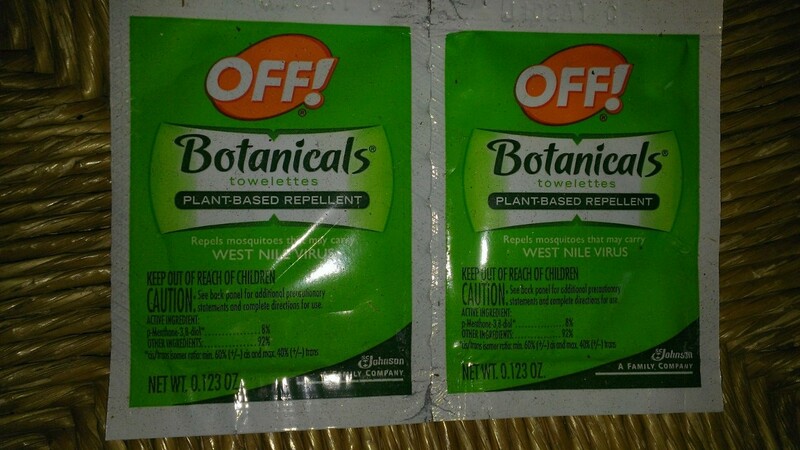 The marina stocks both DEET and eucalyptus-based repellents. Which mosquito repellents work best? CDC recommends the use of products containing active ingredients which have been registered with the U.S. Environmental Protection Agency (EPA) for use as repellents applied to skin and clothing. Saturday September 17, 2:00 – 5:00 pm. 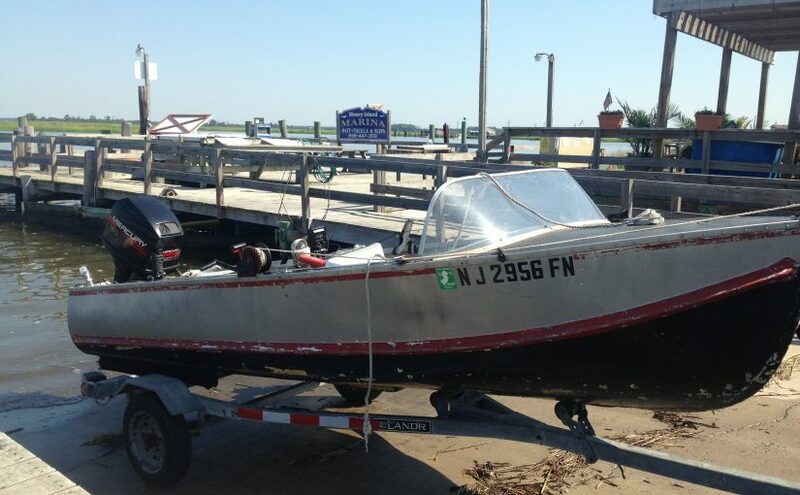 Money Island Marina, 192 Bayview Road, Newport NJ 08345 (856) 447-3576. More information is posted on Facebook. Get tickets online: $10 in advance, $15 at the event. Children are $5 at the event. Proceeds benefit BaySave Foundation, a local registered charity. 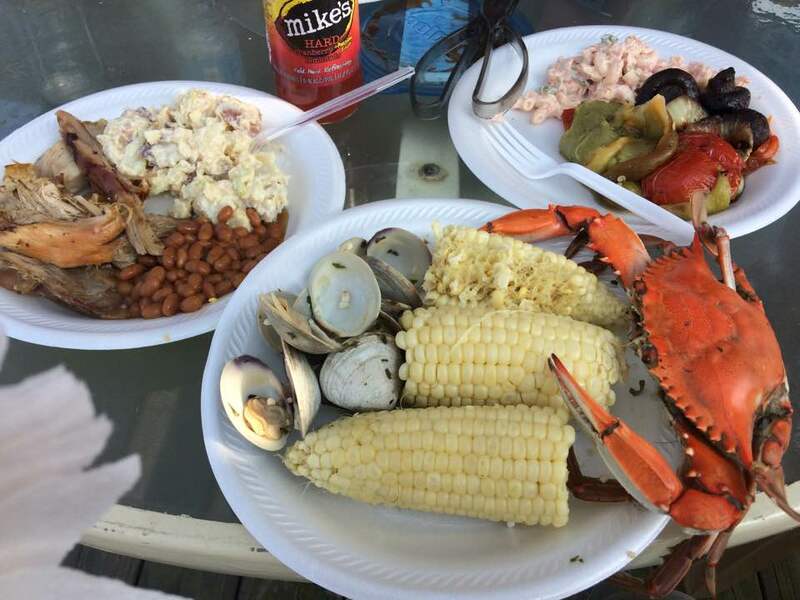 Menu:Assorted seafood appetizers (shrimp, clams, oysters or shrimp), pit barbecued chicken, steamed crabs, corn on the cob, grilled vegetables, baked beans, assorted beverages and deserts.Speaker: Lisa Calvo, Rutgers University and New Jersey Sea Grant, speaking about aquaculture in the Delaware Bay Our policy on adult beverages: Marina barbecues traditionally go hand-in-hand with adult beverages. We do not sell alcohol, serve alcohol or police drinking. Guests are welcome to bring their own drinks and it is traditional to share beer or wine coolers with other quests. Please drink responsibly and be responsible for your underage guests. 2018 UPDATE: This offer is replaced; the blog post is obsolete. For 2018 the ramp fee is waived for all boats. Marina membership is required to use the ramp or any marina facility. Annual family membership is $50. We are testing a new marketing promotion as the flounder season gets started this year that is intended to introduce more boaters to the convenience and level of service available here at Money Island. Normally the ramp fee is $15 for boats up to 18 feet and $20 for larger boats that typically require assistance with the launch and loading. 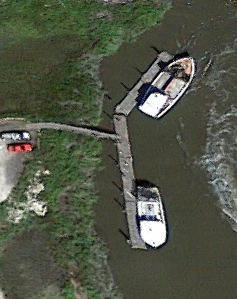 We advise against using the boat ramp within 90 minutes of low tide. 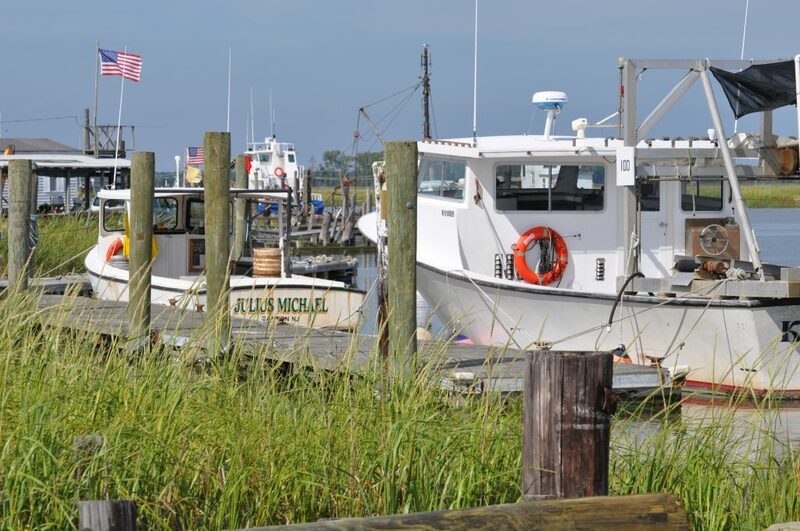 Low tide time is available using the link at the lower left of this page or by calling the marina at 856-723-0294. 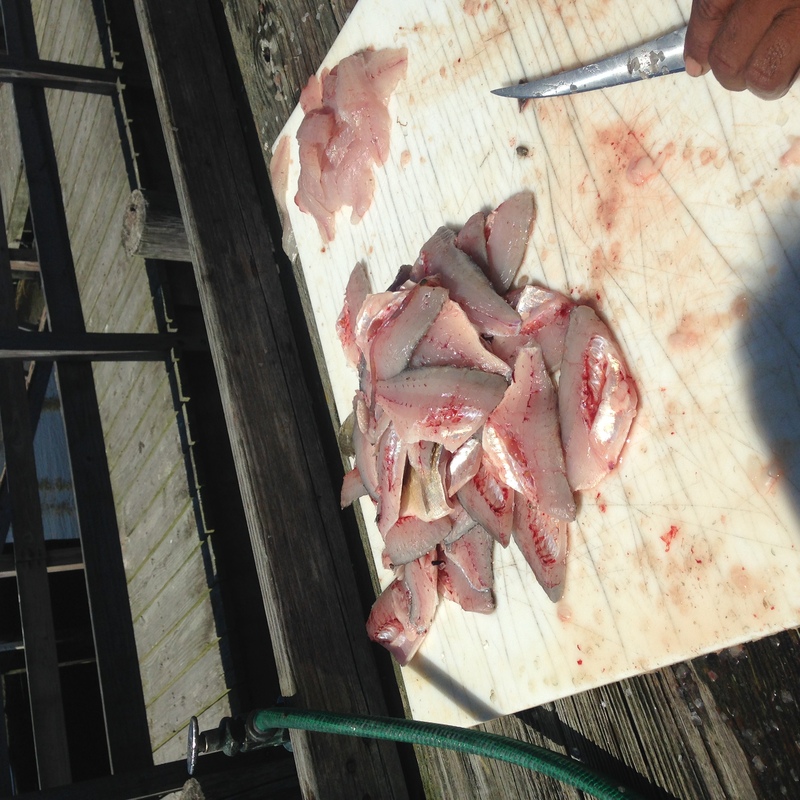 Live/fresh bait is always subject to availability so call ahead 856-723-0294. Gratuity is not included. This offer ends on 8/20/2016 or when the ending date is changed on this web page. Please send comments/complaints/feedback about this promotional offer to Tony Novak at cell/text 856-723-0294.